Jesse O’Brien has always pushed his limits. He started working at 13 as a stock boy at Breed Hardware in Austin, and later spent summers managing tennis and golf shops at various country clubs. He played soccer, tennis and lacrosse; and later, competed in the Texas Water Safari, a 262-mile marathon canoe race from San Marcos to the coast. He has completed several marathons as well as the Big Bend 50k. In June 2008, Jesse committed to some lofty fitness goals and began training and studying functional fitness. During the summer before his senior year in college, he split his time between an internship for Highlands Coffee in Vietnam and an intense fitness regime at a local gym in Ho Chi Minh City. Back in Texas the following year, he earned his degree Entrepreneurial Management from Texas Christian University (TCU) while concurrently completing his business plan for a holistic health and fitness entity. By January 2011, Jesse was in the best shape of his life. A partner in Westlake CrossFit, he was stronger, leaner and better-conditioned, and had forged an indomitable mentality. The only problem was that he had plateaued across all fitness metrics and yet was still hungry for the elusive, initial goal: consistency and improvement across the board. Any progression in one area often came at the expense of another benchmark. He began to seek answers and found a mentor in James Fitzgerald of OPEX in Scottsdale, Arizona. 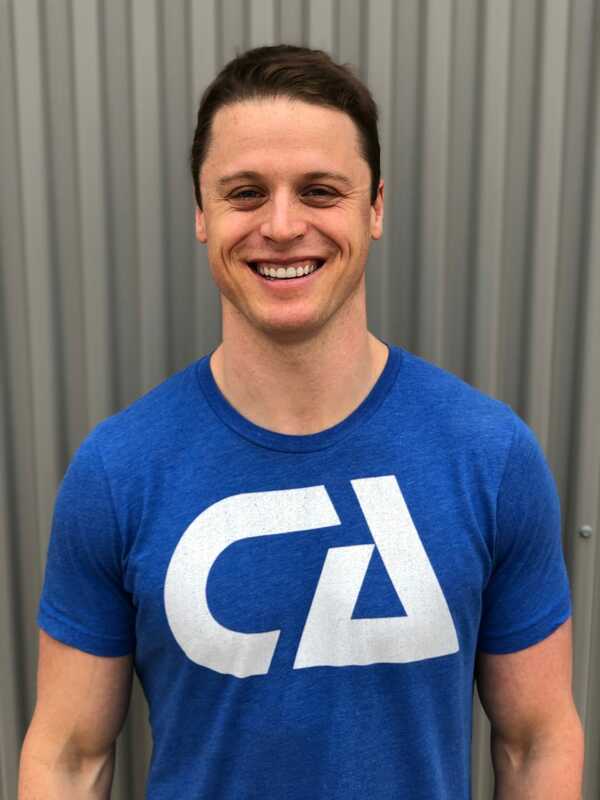 After years of experimenting, applying, learning and then tweaking the OPEX principles, Jesse became an OPEX associate coach and established his own holistic fitness business here in Austin. In 2015, Jesse and his wife Amanda founded Central Athlete in downtown Austin. In 2018, CA joined the revitalization of East Austin and moved into new quarters at Springdale General, a dynamic, burgeoning 165,000-square-foot development on 10 acres, just down the road from the Austin Bouldering Project—a dynamic, state-of-the-art climbing facility. His fellow tenants include the Austin Parks Foundation, Caffe Medici, restaurants, art galleries, marketing and design studios and community working spaces, among others. Central Athlete is the confluence of Jesse’s and Amanda’s experiences, proven strength and conditioning principles and an evolving set of holistic ideas that are centered around the client. The company was founded with results at the forefront of its vision. CA utilizes the principles of Motivational Interviewing and Cognitive Behavioral techniques in the service of its work with clients. CA’s goal is to walk with individuals as they create their own definition of fitness—one that fits them uniquely—and design a training program that will help them get there through consistent work, mindfulness, implementing sound nourishment practices and, equally important, aligning their lifestyles with their personal goals.